Today is 7/17/17- Love those numbers! Making progress on Lazy Sunday. 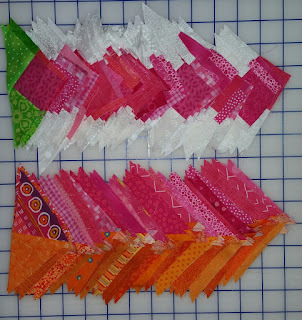 All 24 of the Lazy Ladder Blocks are complete and most of the units done for the Sunday Star Block. Four of the Lazy Ladder Blocks. 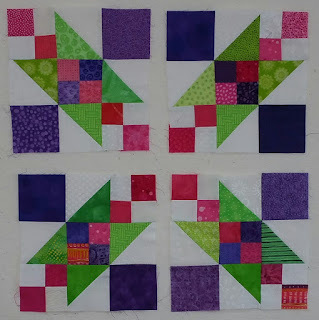 Units for the Sunday Star Blocks. All of the pieces are cut for the sashing, cornerstones and pieced borders, so once I finish the Sunday Star Blocks, the pieced borders will be next. Two weeks left to finish this UFO and many pieces to go! I like the colors in your lazy ladder blocks. 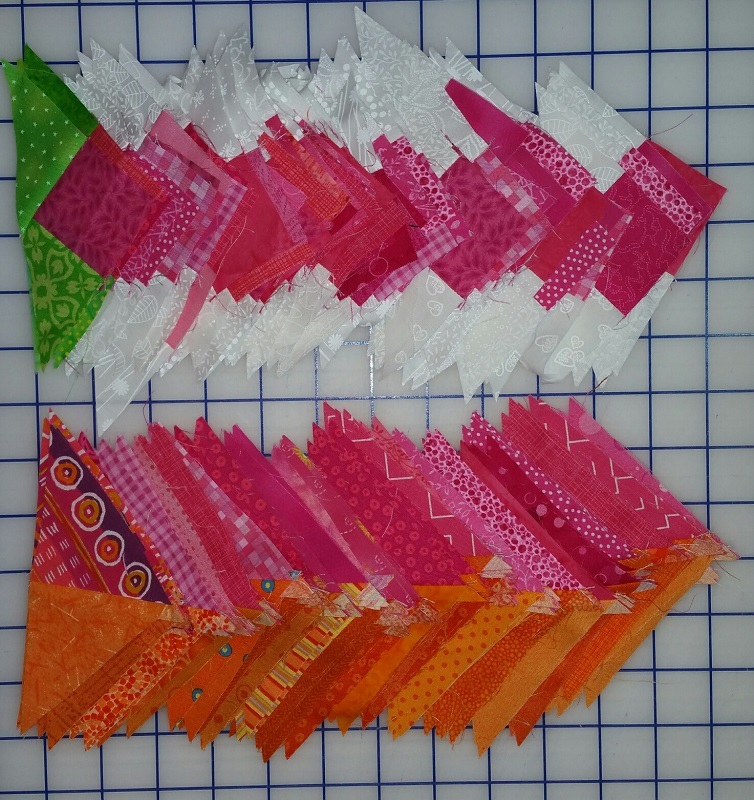 all the units of the Sunday Star Blocks will make your quilt very colorful, does this one have a home to go to? Very hot here in MD, unbearable to go outside. High 90' and low 100'.suppose to get a break on Monday.